Srinagar: Three militants have been killed in an ongoing encounter between government forces and militants at Kelam village in southern Kashmir’s Kulgam district on Sunday. 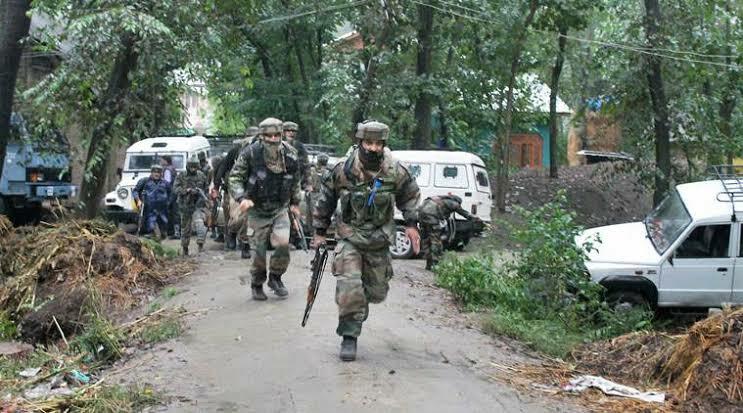 The gunfight broke out after joint teams of army’s 9RR, SOG of Jammu and Kashmir police and paramiltary CRPF launched a cordon and search operation in the village after inputs about presence of militants in the area. As the forces zeroed in on the location where militants were suspected to be hiding, the militants fired upon government forces triggering a gunfight. According to preliminary reports three militants have been killed in the gunfight while two are still suspected to be engaged in the gunfight. The authorities immediately after the eruption of gunfight suspended internet services. Meanwhile reports said that intense clashes have erupted in the area soon after the gunfight erupted. They said that local youths hit the streets and pelted government forces withs stones in a bid to help the militants escape. The clashes were going on when this report was being filed.